← All Together Now – Boo! 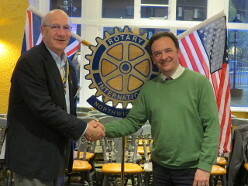 Our meeting on 10 April 2019 was a business meeting, and it turned out to be a very busy meeting! 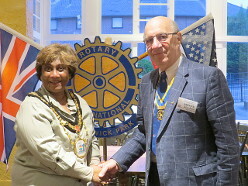 We had two visitors at the meeting Kiran Patel from the Rotary Club of Tower Hamlets, and David Cherry from the Rotary Club of Pinner, who will be celebrating their 75th Birthday on Tuesday 28 May 2019 at Harrow School with a special dinner in the Shepherd Churchill Room. Two established Club Members had also put in for Leave of Absence, one for ill health and one for canvassing for Local Government Election! 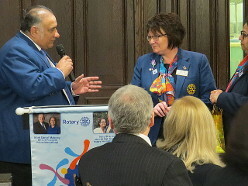 We then had the usual reports from the Service Committee Chairmen. 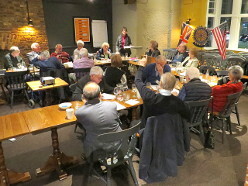 Our Quiz Night the previous Saturday had raised a little over £700, and our final event of the year would be a fundraising lunch on 02 June 2019. There was a short discussion on the Northwick Park Hospital Garden, the Dictionaries for Life project and the Blood Pressure Day. Fifteen Rucksacks have been despatched to Mary’s Meals. 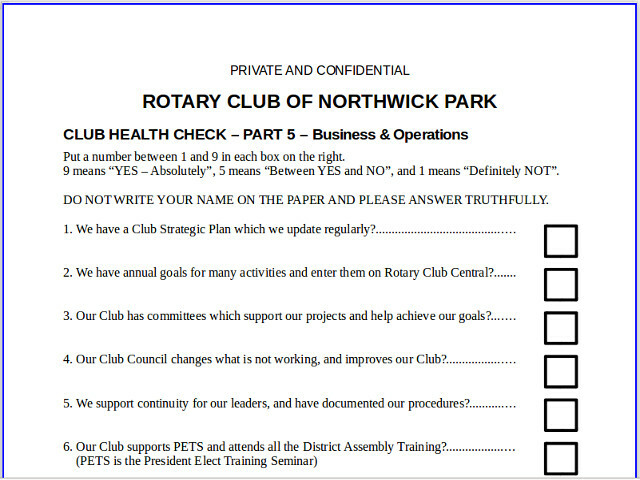 It was then time for the Real Health Check for the Club. On 27 March 2019 we had had a trial run with the questionnaire, and the process had run fairly smoothly. It was now time for all those present to answer the questions for real. 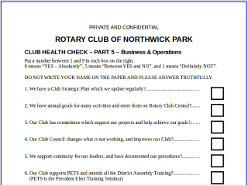 There were 63 questions in the Health Check and there were 17 members present (59%). The analysis will now go to our Strategy Group who will propose various actions for the Club to adopt or reject as they see fit. 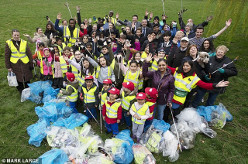 Next week, we are having a meeting with partners, and our speaker will be the Worshipful the Mayor of the London Borough of Harrow, Councillor Kareema Marikar. 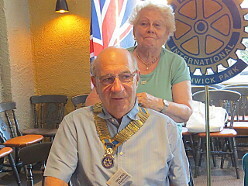 This entry was posted in Latest News and tagged Club Meetings, Club Projects. Bookmark the permalink.